Log into your control panel with the loosing registrar and unlock the domain name for transfer. Disable any whois privacy protection for your domain name. Verify that the domain administrator and registrant contact email addresses are ones you have access to. Obtain the EPP code. The EPP code, also called Auth code or transfer code, is a secret code that you will need to use during the transfer process. The loosing registrar is the only one that can provide you with this information. Log into your account at the winning registrar and begin the domain transfer process. You will be required to enter the EPP code that you obtained in the above step. The winning registrar will send an email to the admin contact of your domain name. You MUST follow the instructions in the email to approve the transfer. If you don’t do that the transfer will never be started. You may also receive an email from the loosing registrar. This email is sent in case the transfer was unauthorized and you want to cancel it. If you want to proceed with the transfer you can safely ignore this email. 5-7 days after you verify the transfer it will be completed. You will receive an email notification to that effect from the winning registrar. 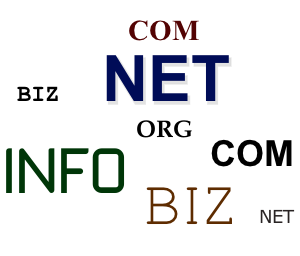 Domain transfers don’t cause any downtime for your website. The domain DNS settings are also preserved across the transfer. I wish to try your plugin on beforehand. If a domain name is taken I wish to have a link to transfer the domain to our company (providing Auth code) and proceed to order form (through our webshop -using the combination of Gravity forms and WooCommerce). If the domain name is still available I wish to have a link to register it (through our webshop). Is that possible with your plugin? I emailed you a reply. Thanks.